If you are approaching the end of your current lease contract, you may be wondering 'can my lease be extended?' You're not alone. Many people find that there is a period between one contract ending and another starting, and they don't want to be without a car. Or, perhaps they're just not ready to part ways with their trusty four wheels just yet. Whatever the reasons, there are certain ways to extend the lease contract on a car. It's worth noting that some finance houses don't offer any kind of lease extension, so call them to make sure you are eligible. We'll take you through all the nitty gritty. Working in the care sector is a demanding role so carers need a reliable car that ticks some serious boxes. A car is a vital tool for Carers. In this article, we'll be looking at a day in the life of a Carer. Once we know more about our Carers day-to-day activities we'll list the top 5 cars we recommend as the top cars for Carers. Also taking a brief look at Motability and how you can receive discounted car hire if you provide care for someone else. 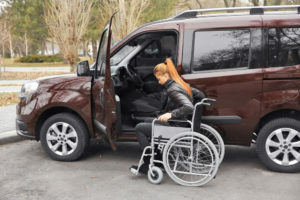 Since 2013 it has been reported that more than 50,000 people with disabilities have had their specially adapted vehicles taken away. This is part of a new government clamp-down on these vehicles after changes to disability benefits.The scheme, known as the Motability scheme, entitles disabled people to lease adapted cars, scooters or powered wheelchairs using part of their benefit. 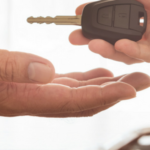 However, Motability have said that since the changes to disability benefits have come into effect, more than 50,000 people have had those vehicles taken away from them. This, according to AutoExpress, is 900 people a week.